Thank you for helping to beta test the next Kantu releases. We run our own QA, but our resources are limited. Our QA can never cover all of the amazing variety of use cases that Kantu users have come up with. This beta version announcement list helps us to make sure that a new release does not inadvertently break existing macros. 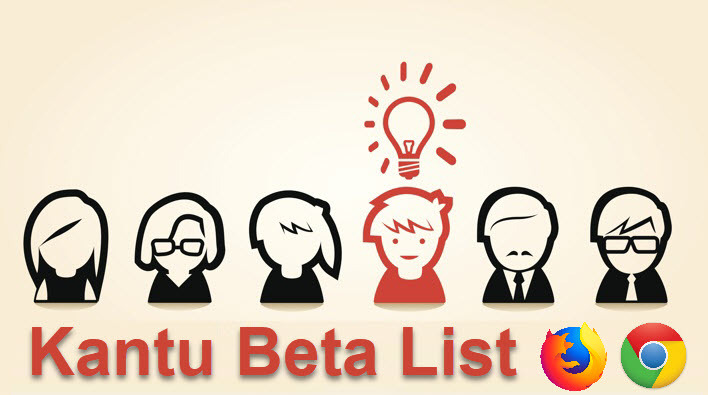 As beta tester, we will email you (hidden) install links for new Kantu versions before they go live in the Chrome store. If you have the time, you can install and test the new version(s) and send us feedback. If you have no time, you can simple ignore the emails. Beta versions never overwrite a regular Kantu version. The beta channel is technically a separate extension with its own toolbar icon. It gives you access to new features first.